The ABW vendor report is in progress, but to tide you over you could pick up your own summer belt back jacket and vest from this eBay auction – pair with your favorite pair of summer trousers, wear together or separate. Size 42, bidding at $99.95 with free shipping…not quite the steal from Chelsea’s, but cheaper than flying to Cleveland! 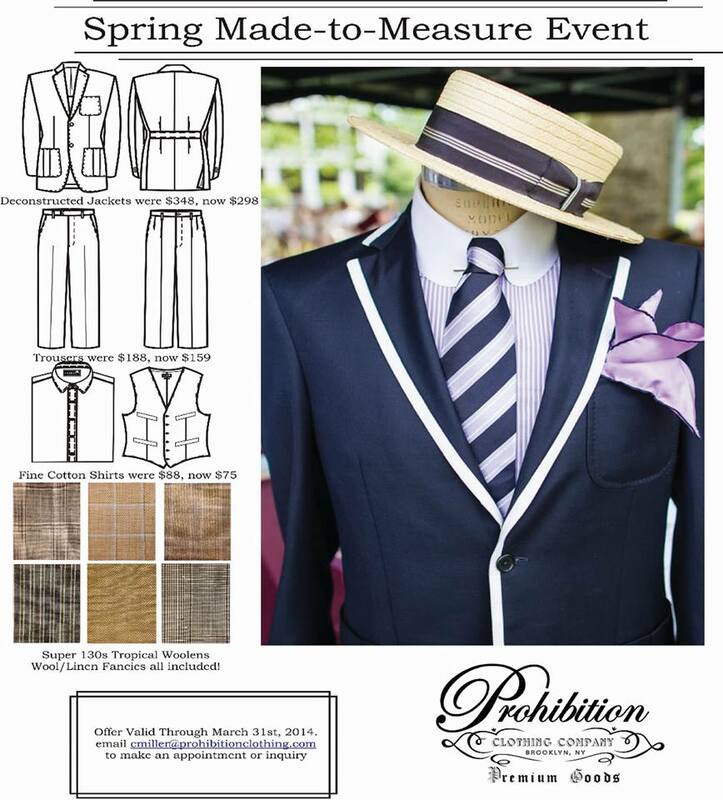 This menswear resource tip is from Christine Hall of the Decophile group on Facebook – Darcy Clothing, previously The Vintage Shirt Company, has expanded from shirts to include a much broader range of reproduction menswear and accessories from the 18th century to the early 20th century. 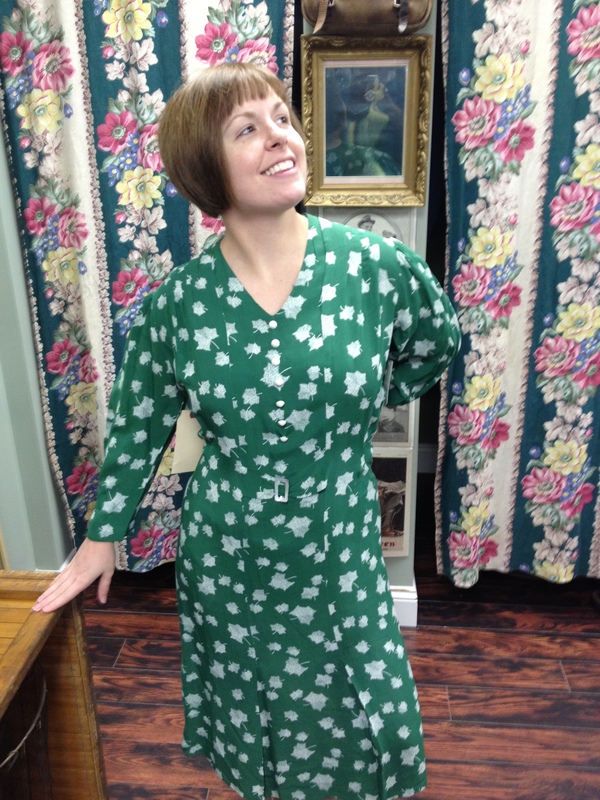 This is a huge span of time, but there are plenty of 20th century goodies from this UK company to place in your closet. Are You a Fearless Follow or a Solid Sender? While I don’t talk a lot about tee shirts on this blog, it’s a fact that most dancers wear tee shirts dancing most of the time, especially men. Corey has noted this and when he “looked around at most of the dance tee shirts, they identified your love for dance, but the shirts themselves weren’t lovely.” I like the way this man thinks – to add to the small pool of Lindy Hop merchandise available to us, TOPCC is now offering two tees – one for “Fearless Follows” and another for the “Solid Sender.” The design on the tees is certainly lovely, with vintage styling and iconic silhouettes. Now that I am the proud owner of a Fearless Follow tee, I can attest to the fact that this is one of the softest tee shirts I own – it will be a delight to wear! While you’re at TOPCC website, you should absolutely look around – there are fabulous things here, too fabulous, really. I pretty much want to buy everything here for my husband to wear! 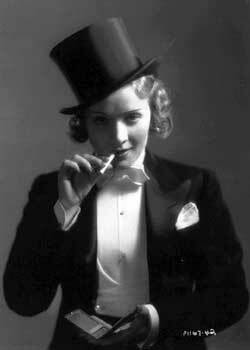 Impeccable jackets, Hollywood trousers, wonderful vests, variations on the collared shirt, newsboy caps, and even men’s ties in a Tommy gun pattern (to continue the theme – cheeky). 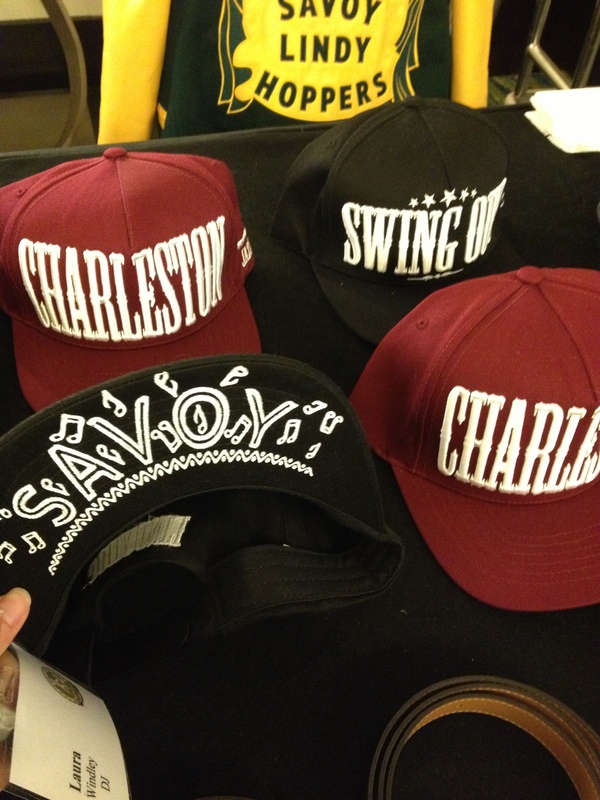 And thanks to Corey for designing with the swing dance community in mind – a rare thing, indeed! Another article featured on Yehoodi – enjoy! I think this is a really cool concept, one that could be practical for dancing socially, traveling, or in performance where a female could be leading and/or want to fit into a particular role in the ensemble. – Like vintage clothing for men, the actual vintage options will be limited, but with ladies’ narrower shoulders it could open up more jacket options. – Accessories are the key. Like many gents I know who dress in vintage or in vintage style, many of the main pieces they wear are regular menswear or reproductions and the accessories, which have usually survived and are more plentiful, take their outfit to the next level. It’s all in the details. – Finding pants is going to be really hard. As someone who has pretty much given up on finding pants, it could be even harder for me to make a recommendation. 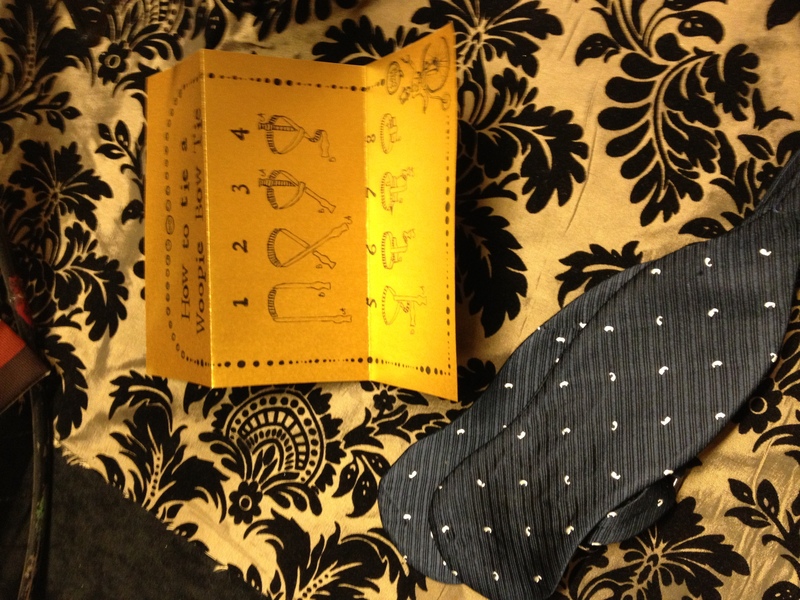 – Like any good dandy, you will need a tailor. 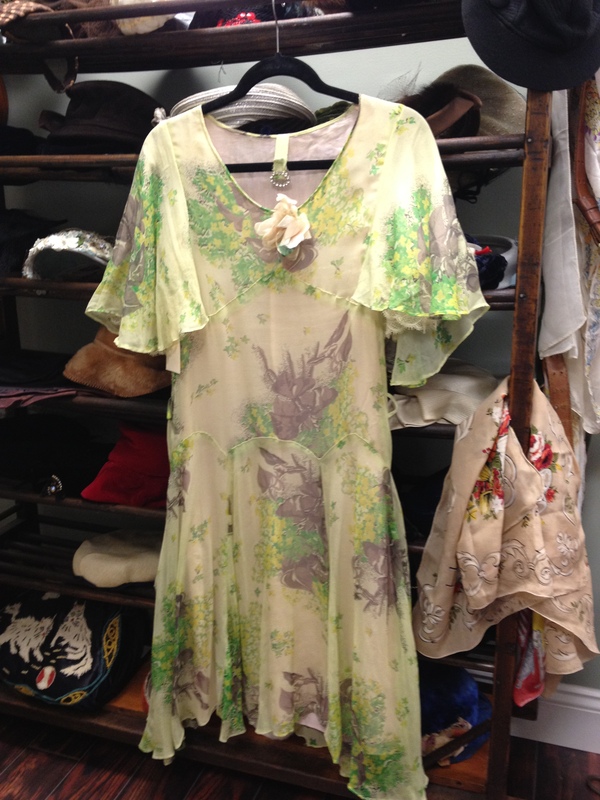 – Women’s clothing retailers offer some dandified options, if you know where to look. Gonna get this one out of the way. Men’s pants are not made for women’s bodies and vice versa, but this doesn’t mean that men and women are made of one shape, or that men’s pants won’t ever fit. One of my favorite pairs of pants in college was a pair of men’s pants and I purchased a tuxedo for myself last year and didn’t have much trouble with the pants (although they cut a wee bit tight across the hips, more so than I am used to feeling). They fit me a hell of a lot better than these skinny jeans that are in style right now (which make me look like a linebacker) and give the illusion and drape of a proper pair of men’s trousers, in spite of the hip area. My next suggestion is to find men’s pants that fit in the hips and have them tailored to fit your shape. This may not work for all men’s pants, but I believe it’s a viable option. 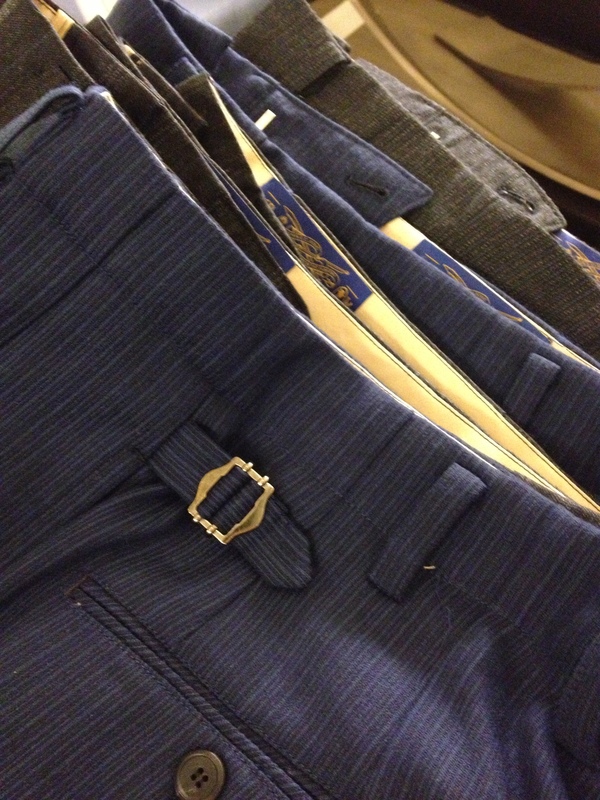 Most nice men’s pants are cut to be tailored and taken in or let out. Plaid knickers may be adventurous, but this pair of khaki knickers could be the basis for a great lady dandy summer outfit with fantastic socks! There is always the option to have them made, which is my favorite because they are guaranteed to be made for your shape, in the fabric you like, and can be tailored to look like men’s pants. 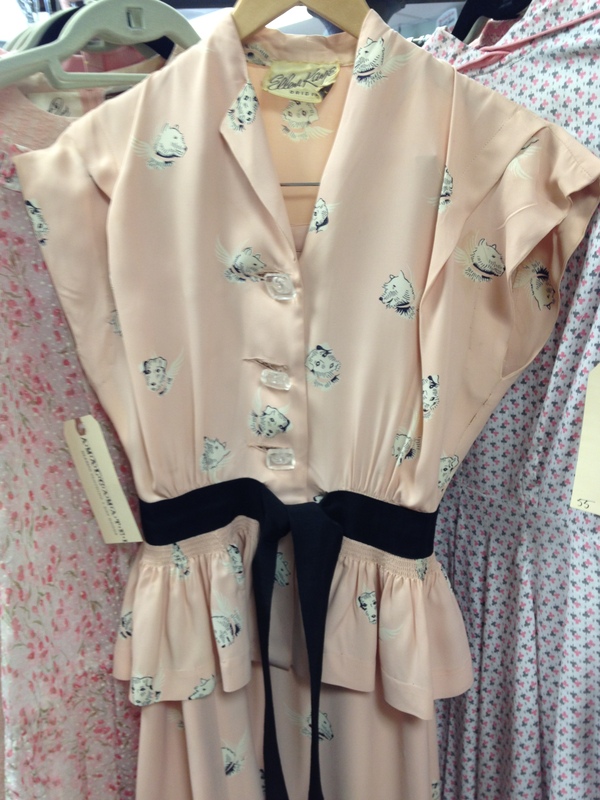 You can also have more options, like a higher waist to give it a more vintage look. 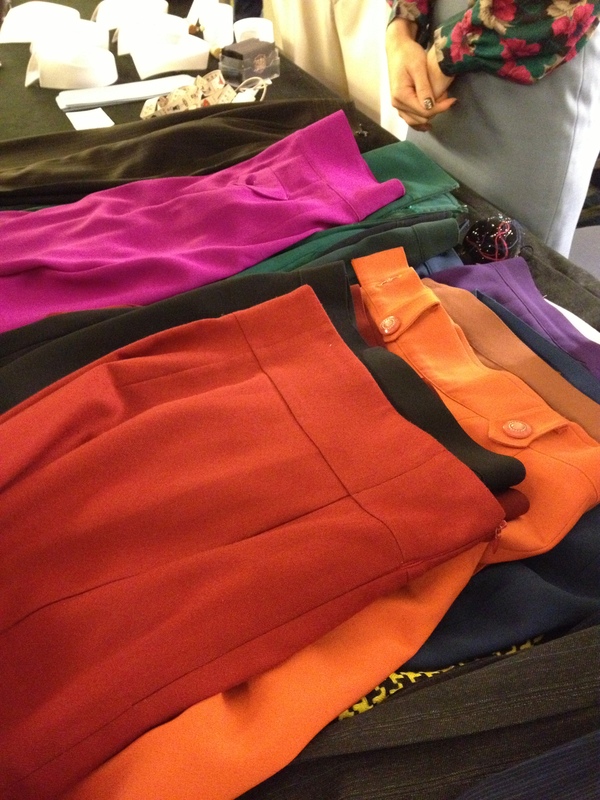 Also, with the higher waist pant, it’s more likely to be a flattering cut for the female figure. I’m thinking specifically about the 13 button sailor pants the U.S. Navy used to issue as part of a uniform – those pants are universally flattering on just about every human I’ve seen wear them. 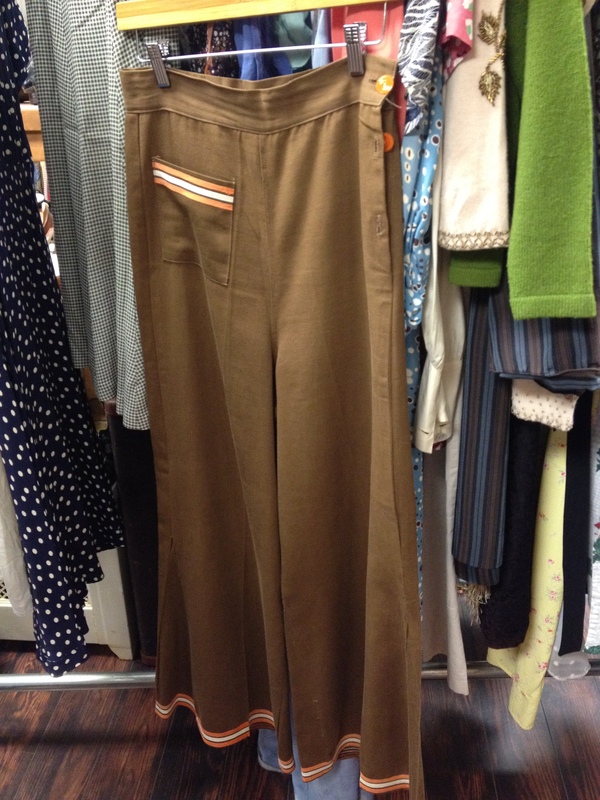 Finally, in rare instances (so rare that I can’t really point to a consistent source), I have come across wide or straight leg trousers in women’s stores that do sort of have a nod to menswear. The cut will be most important in this case, because womenswear is so squirrely and the cut may not be tailored enough to be truly dandy. 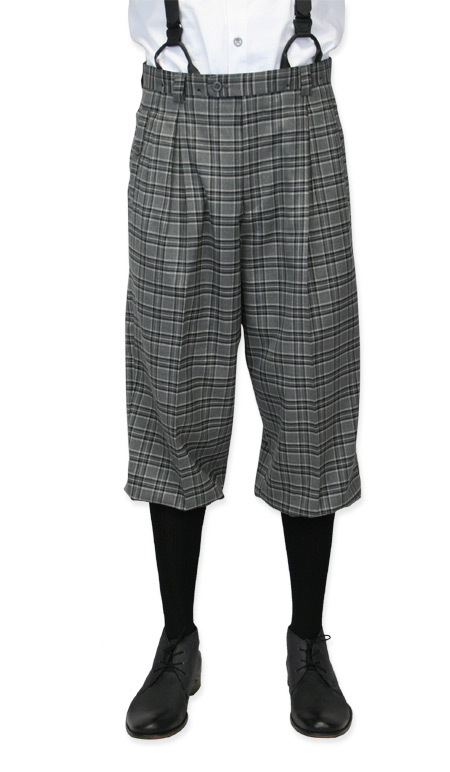 Then, there is this sort of hybrid that is golf knickers, which are definitely more traditionally male, but also sporting female, and are made in women’s sizes at golfknickers.com (I would rock the Stewart plaid pair in a hot minute!). I think most men’s shirts have comparable women’s shirts (tees, polos, button-downs). Sadly, I think a lot of modifications that retailers have made to women’s dress shirts to make them more…girly (?) have not worked out for the best. I am a lawyer IRL, so I deal with a lot of button-down shirts to wear under suits for court. I get miffed when I see that retailers have modified the neckline to show more cleavage – with that silly angle exposing more of the upper chest and removing the buttons so you no longer get to decide where your top button is located. Forget about wearing a neck scarf or a tie with it. And is it too much trouble to put a button across the peak of the bosom, instead of spanning it and causing a gap that must be safety pinned, lest your co-workers catch a glimpse of your bra? But I digress. I have found a few good basics for button-down shirts. My favorite is Banana Republic because the fit is usually really good (efficient, professional) and they have nice variations on classic menswear for women, without sacrificing buttons or adding excess cleavage. 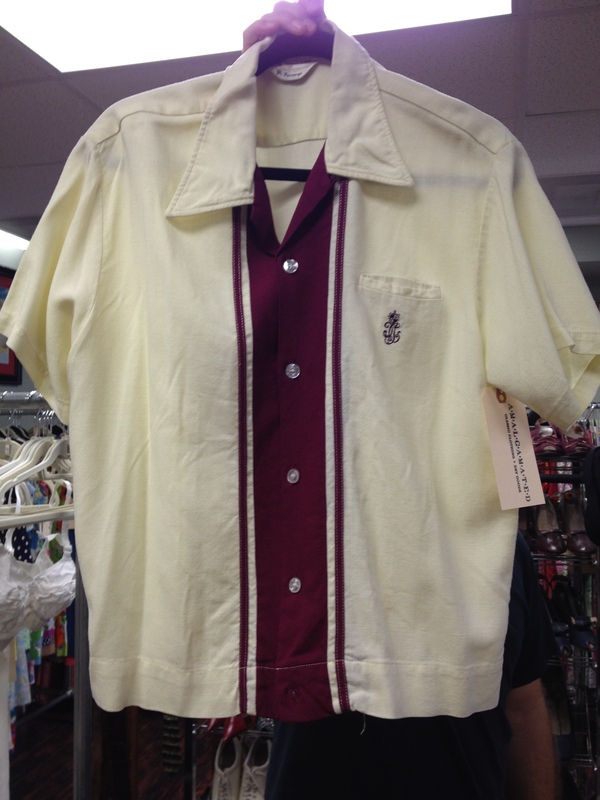 It’s also one of the few places I’ve found women’s shirts with French cuffs for cufflinks – bliss! 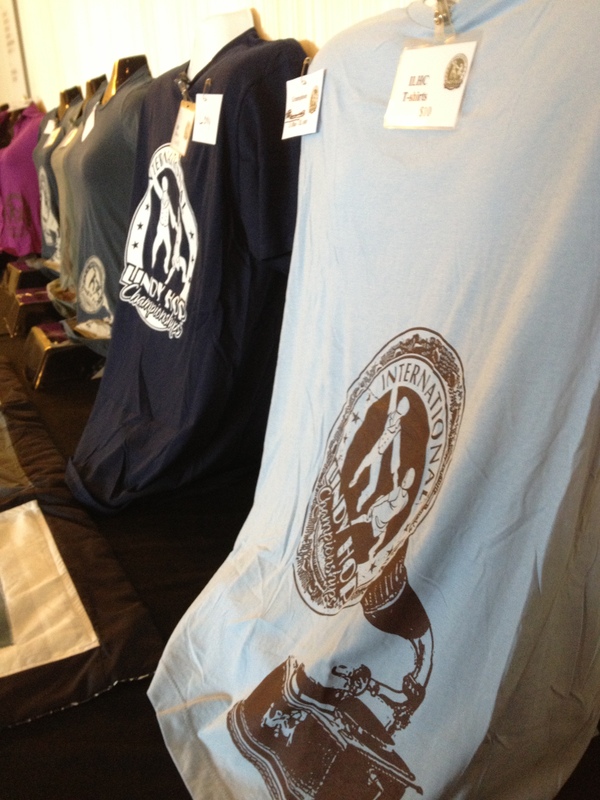 They even have a line of non-iron shirts, which is the only kind of shirts my husband will buy, but that I haven’t seen made available that often for comparable women’s shirts. A scan of the BR line shows some great dandy options for summer – long sleeve basics, a safari shirt with rolled up sleeves, and a fantastic long sleeve button-down in blue or pink with contrast white collar and cuffs! I think it is important to buy shirts made for women, if at all possible. 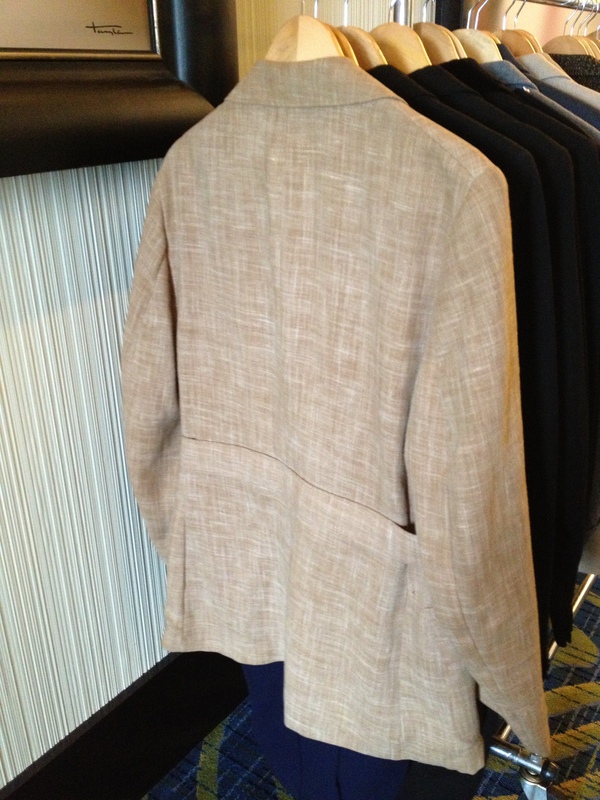 Generally, our shoulders are narrower and we need darts to highlight our feminine shape and streamline our look. 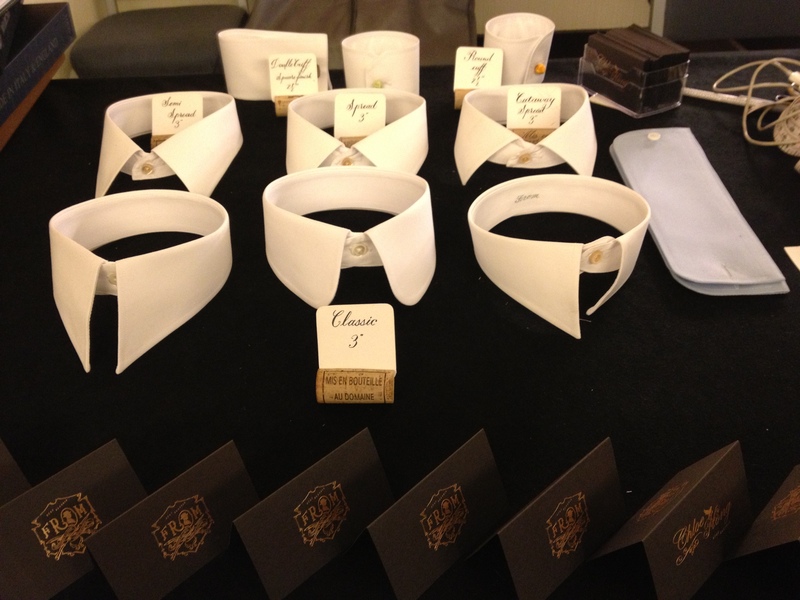 Being a dandy is about looking tailored, not frumpy, and I think men’s shirts are just too much of an adjustment in shape when there are options available that do not require alterations or custom-made garments. Things start to get easier here. 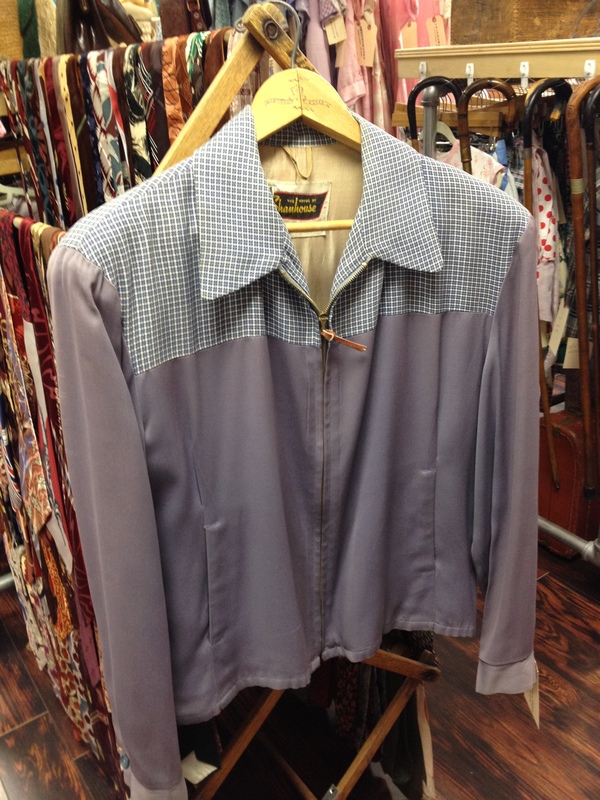 I’ve seen more women’s vests in recent history and there are always menswear-inspired jackets available. The key here is to mind your colors and materials – obviously, a pink boucle jacket is going to scream femme, but a linen, stripe, or tweed would be more along the lines of a dandy. I’d also experiment with vintage menswear and men’s vests, as there may be potential for tailoring them to fit, or with vests, cinching them if they are adjustable in the back. Again, the key is tailoring, keeping lines clean, and sticking to menswear basics. This becomes a wee bit more difficult because Dancestore.com isn’t making men’s Aris Allens in smaller sizes anymore – finding menswear-inspired shoes is fairly simple, but finding leather soles is not. This is where the ladies with the larger feet have an advantage. I went through great difficulty to find boy’s size 5 black patent leather oxford ballroom shoes to go with my tuxedo (and the size chart was so off that I had to send them back 3 times for an exchange). That said, there are some boy’s ballroom shoes out there in basic black oxfords. While I can’t vouch for the danceability of all the soles (there’s always the option of having things sueded), G. H. Bass has some great shoes right now for women that are a sort of twist on classic men’s shoes. I’m loving the Rachel Antonoff collection, which has things like clear/black patent wingtips, saddles shoes in lots of two tone color combos, and loafers with complimentary plaid panels. The Bass American Classics line for women almost looks like a collection of men’s shoes, with basic colors in loafers (tassled and penny; BONUS: leather sole) and saddle shoes. 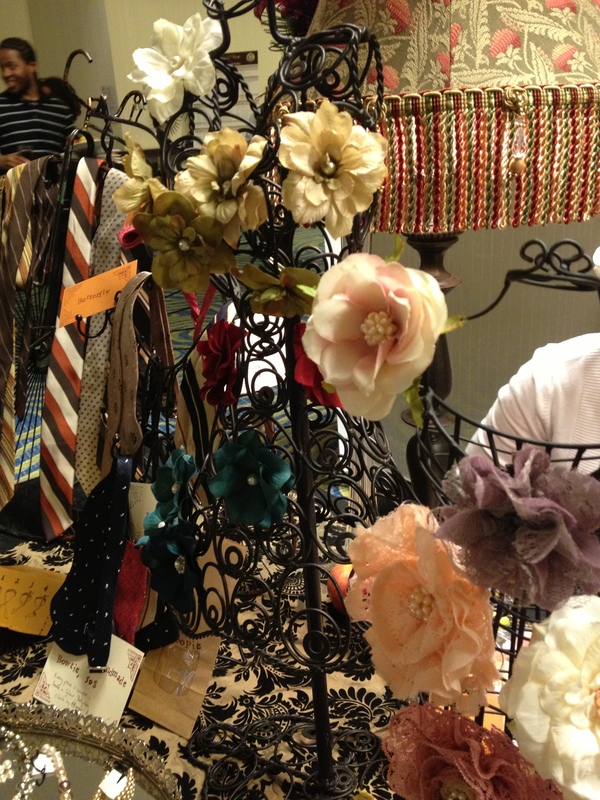 Belt, suspenders, tie, cravat, tie clip, cufflinks, hat, cap, watch, lapel pin…this is where there are comparable women’s products (belt, watch), or adjustable (suspenders), or we have unisex sizing (hats, caps), or it’s one size fits all (tie, cravat, cufflinks, pins, etc. 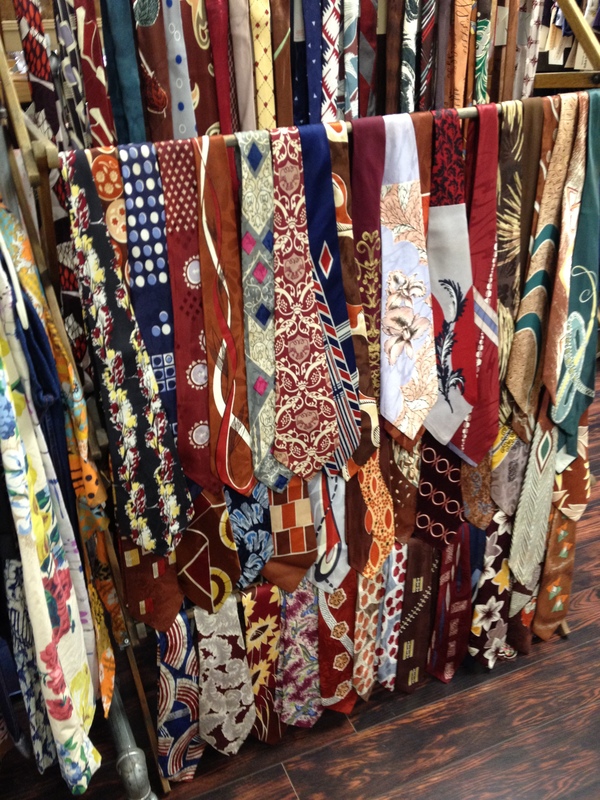 I’m actually thinking vintage 30’s and 40’s ties might work even better on women because they are shorter than modern ties. This is where you have very few limits – go forth to the men’s section and conquer! 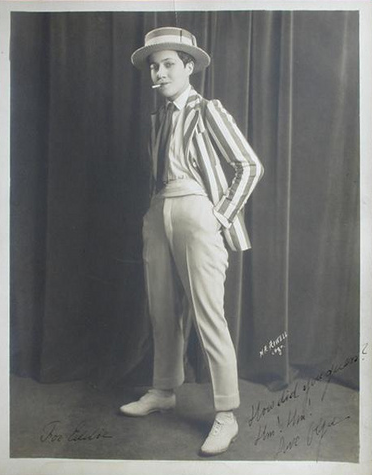 As with creating any look or ensemble, it’s important to do your research – look for inspirational photographs of men and women in menswear, or women in pants from the swing era. Pants were definitely not the norm and I think you will find that women took a lot of inspiration from the men when they embraced pants. I hope this was helpful in some small way – please let me know if you have any follow-up questions or product recommendations for other burgeoning lady dandies! 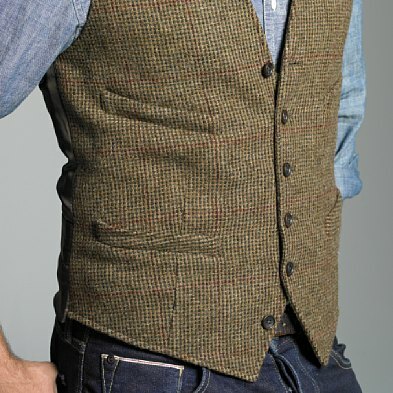 Vests don't have to be formal - see how great this tweedy vest looks with denim. Unless you’ve been dancing under a rock, you’ve probably noticed an increase in the number of leads wearing vests at swing dances. The phenomenon is so prevalent in the Balboa community that Eastern Balboa Championships organizer and MC Chris Owens noted during one of the Balboa competitions at EBC 2011 that 10 out of 16 male competitors were wearing vests. 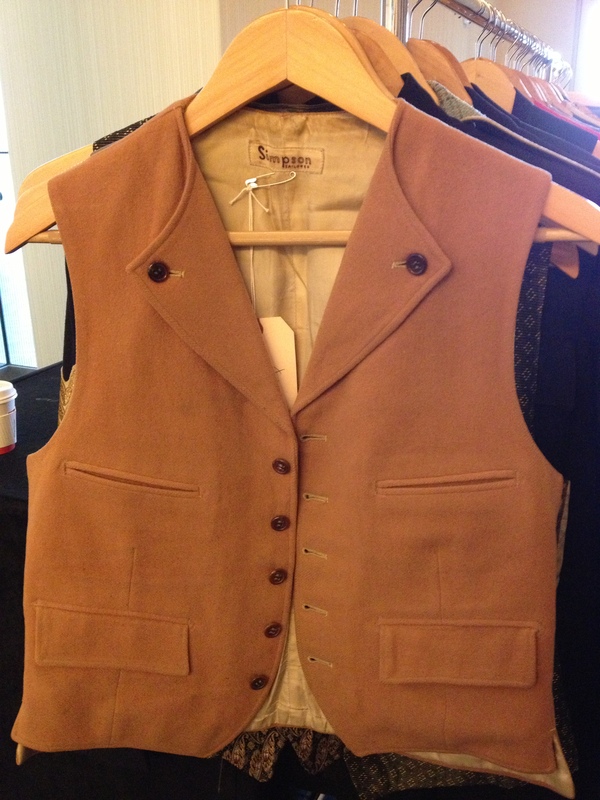 What makes a vest so great? Having worn a few myself, including a vintage one of Black Watch plaid wool my mother made in the 1970’s, I can tell you that a vest can really pull an outfit together; where something was just a shirt and pants (or skirt in my case), it becomes an ensemble with that one addition. It’s an upgrade without being too formal; it pulls things in at the torso without inhibiting movement; it leaves your arms free to do work, while the rest of you remains business. If fitted properly, it can make you appear more trim and elongate your silhouette. It looks great with or without a tie. “I wear vests for many reasons. They help keep you warm, they add a flair to one’s outfits, they help keep sweat off of a follow while dancing, and they help keep your tie in place. They also add a cleaner line by covering the bulk created by shirts becoming untucked, belt loops, and belts. Social dancing is an art form and line and proportion are essential in art. But the line only comes when pants are worn properly at one’s natural waist. If the trousers aren’t worn at a proper height then the vest hinders this effort by allowing the shirt tail to peek out the back and destroy the look. Dancing is not only about the communication between partners but communication of beauty through movement and line to the audience watching. I purchase vests where I find ones that fit. Being a long, they can be hard to come by, but I look at major retail stores, online, thrift shops, vintage stores, and eBay. Knowing one’s measurements can help ensure a proper fit. Also, taking along a man who knows menswear never hurts. Most women don’t know menswear so they can’t be reliably counted upon. (No offense! )* You don’t want something in style since style is constantly changing. It is important to take someone with you if you are not seeing a tailor since most salespersons will “Yes” you to death. Nothing is worse than buying a piece of clothing, then realizing it doesn’t fit properly while wearing it out for an extended period of time. We believe you, David, and we salute you. I think David has some great advice here, particularly about fit and style. I hadn’t considered that, with menswear, buying something fashionable now would limit wearability down the road, since menswear changes so little overall. 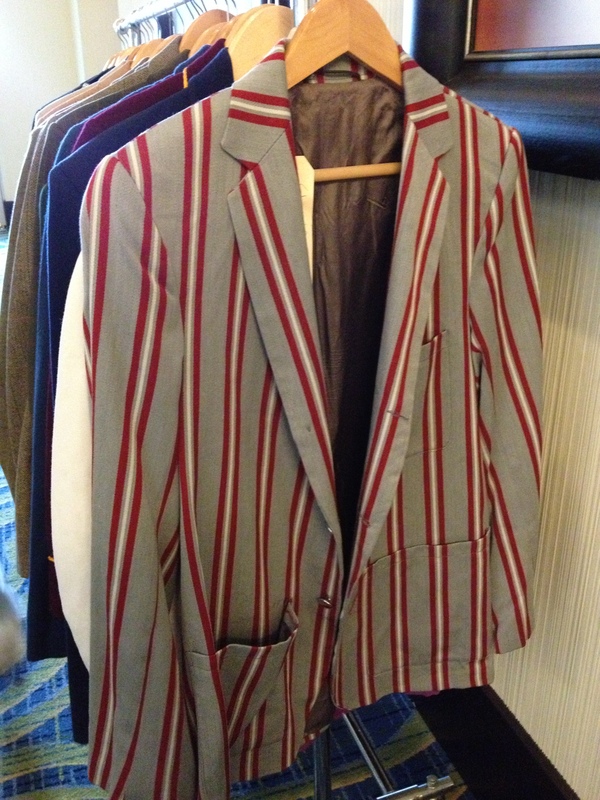 However, the subtle details make a difference in menswear (skinny 50’s neckties, narrow 60’s suits, wide 70’s collars), so going with a classic, nondescript thrift store find may be a better choice in the long run than the trendy vest you may find at the mall. I find that if you are looking for a particular something, you will start to notice these things as you are out and about, so keep your eyes open and you may come across the vest you desire where you least expect it. If you see someone in a vest, ask them where they got it – you may get some ideas of your own about where to look in your area. 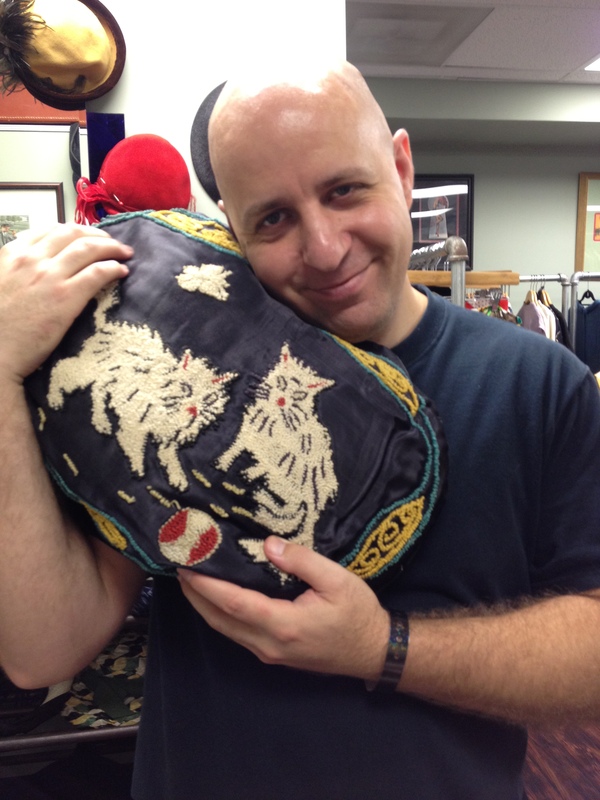 Incidentally, if you are in Philadelphia, you should make plans to visit Briar Vintage, a vintage store devoted entirely to menswear and manly “collectibles and oddities.” David is the manager of the store and I’m sure would be happy to help you “invest” in some great pieces for your wardrobe. While reading my mom’s copy of the January 2012 issue of Town and Country, I ran across a comic strip detailing the history of the tuxedo – not normal comic book fare, so I was intrigued. Here’s your history lesson for the week: according to the strip and Wikipedia, the word tuxedo comes from the Lenni-Lenape Native American tribe (also known as the Delaware Indians), who were allegedly called Tuxedo (meaning “he has a round foot” (which may be in reference to the wolf), “place of the bear” or “clear flowing water”) by their enemies the Algonquins. The Lenni-Lenape lived near a lake which they named “Tucseto,” which later became known as Tuxedo Lake, and the area where they lived was called Tuxedo. I am amazed that the basis for modern formal menswear originated as far back as the 1880’s, but this demonstrates how the tuxedo has withstood the test of time. As the modern Lindy Hop community matures, I see more dancers donning a tuxedo (or part of a tuxedo) for New Year’s Eve, specifically at Lindy Focus (alas, I will miss my first Lindy Focus in six years!). Just adding a bow tie to a black suit can elevate your look, or wear a vest/bow tie combo for maximum mobility. Tuxedos are more attainable, thanks to the advent of eBay, but even thrift stores have tuxedos, sometimes castoffs from formal wear stores or a donation that simply doesn’t fit or isn’t used (and is usually rarely worn, so it good condition). You can often acquire a vintage tuxedo for less than the cost of a vintage suit because they are the garment that was worn least and survived the decades. It amazes me that people spend money to rent tuxedos when for the same price or less you could buy one. 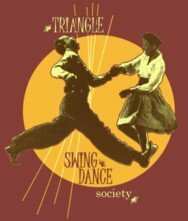 The Triangle Swing Dance Society has requested a post about where to shop locally for vintage or vintage-inspired swing dance clothing in the Triangle area of North Carolina (Raleigh, Durham, Chapel Hill). In the spirit of shopping locally, there are a few places I would recommend to find garments, but keep in mind that this is never a sure thing – vintage shops have one of a kind items and you may have to visit a shop several times before finding anything; similarly for retailers, things that may be in stock one season will not be carried for another season. I’ll list some of the more consistent producers and some general ideas about where to look for these things. Dolly’s Vintage is in the forefront of my vintage shopping right now because my office is two blocks away from this delightful shop and I often (read: 2 or 3 times a week) stop by the shop to chat with Jennifer Donner, the amazing and talented owner of Dolly’s, and to soak up some of the cheerful atmosphere of the store. 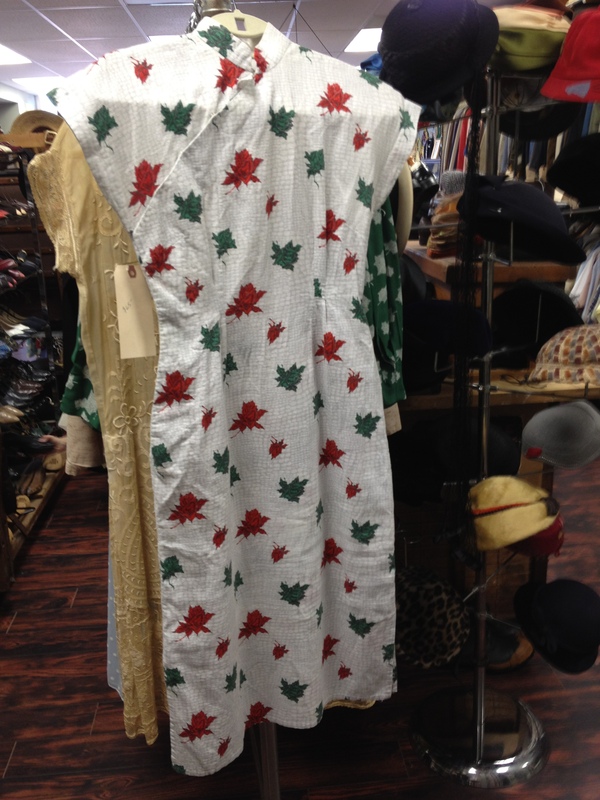 Dolly’s is also the most reasonably priced vintage store I have ever encountered. 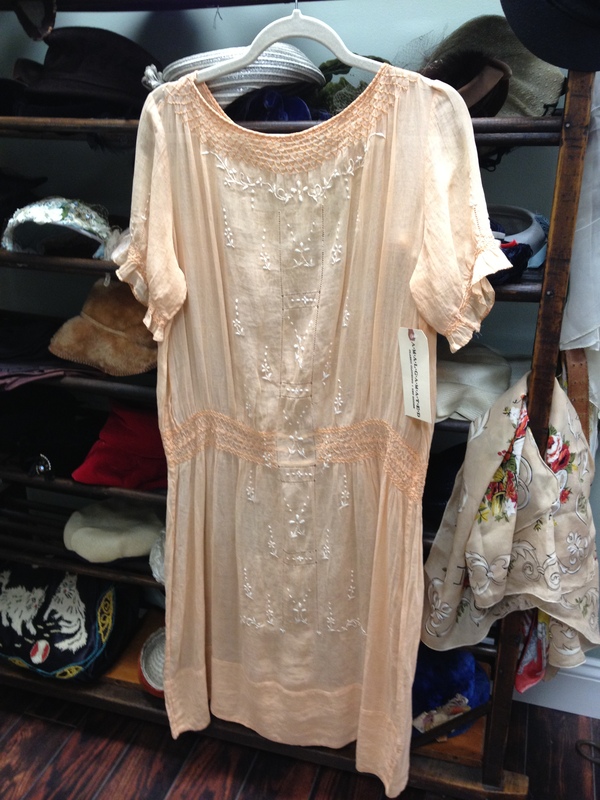 Where other vintage stores would charge $40-$100 for garments, or even more, Dolly’s keeps everything just below that range, with most items between $20 and $30. Jennifer stocks decades from the 1920’s through 1970’s (with a few choice items from more recent decades), but keep in mind that 1920’s, 30’s, and 40’s garments will be much rarer and she may not have anything in stock, but you should still ask so that she knows how many people are looking for these garments. She will be more likely to purchase these items from people clearing out estates if she knows there is a demand. 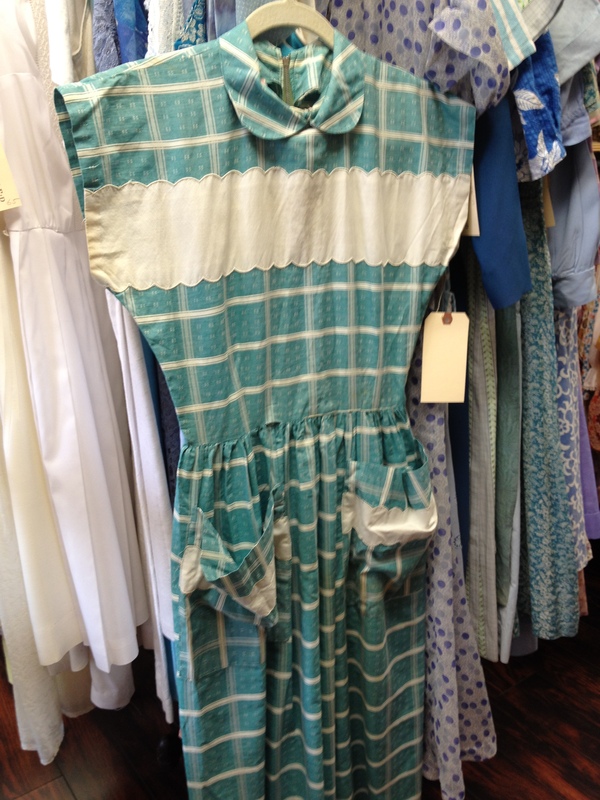 I can usually go into Dolly’s and find a few 1940’s items, and definitely a lot of 1950’s day dresses that are perfect for swing dances. 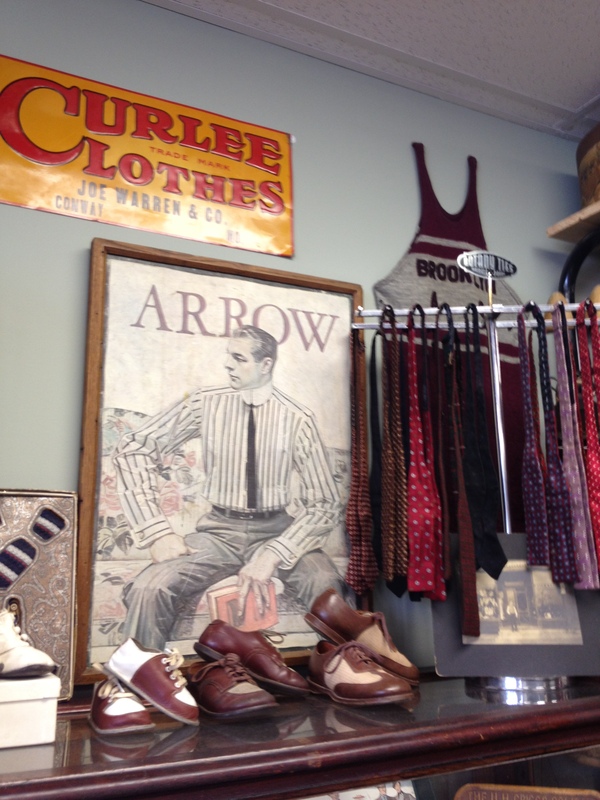 For men, Dolly’s has a great selection of sport coats, pants, shirts, and an entire rack of 1950’s skinny ties. If you see something you like, you should either buy it immediately or ask her to hold it if you need to think about it or find something to match it – the clothes fly off the racks in that store and she stocks new items every day just to keep up with the demand. I know some of the Triangle dancers are already a fan of Dolly’s, as I’ve seen Elizabeth Tietgen pick up a 1920’s cloche, Holly Owens bought an adorable polka dot dress that she wore to a dance at the Century Center recently, and Jason Sager purchased a wig here for RDU Rent Party’s role reversal night. While not technically inside the borders of the Triangle, Beggars and Choosers should not be overlooked. 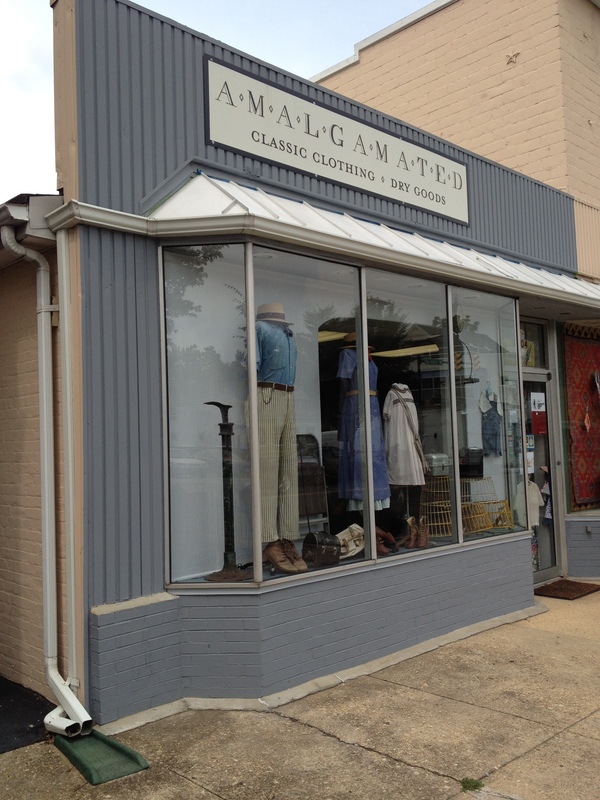 It is a bit of a drive to Pittsboro and they are only open on some Saturdays, but this is the only place I know of in the Triangle that stocks clothing from the late 1800’s through the 1970’s and consistently has a few items from the jazz age and swing era. I see a lot of conflicting information about when this store is open, so it’s best to call ahead before you decide to make the trip. 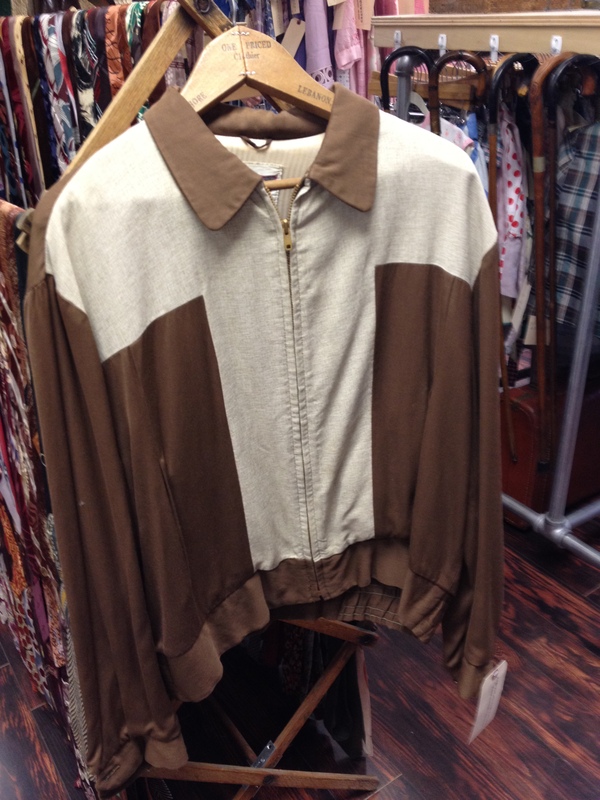 This is a gold mine for men’s and women’s vintage clothing, so I promise it will be worth the effort! 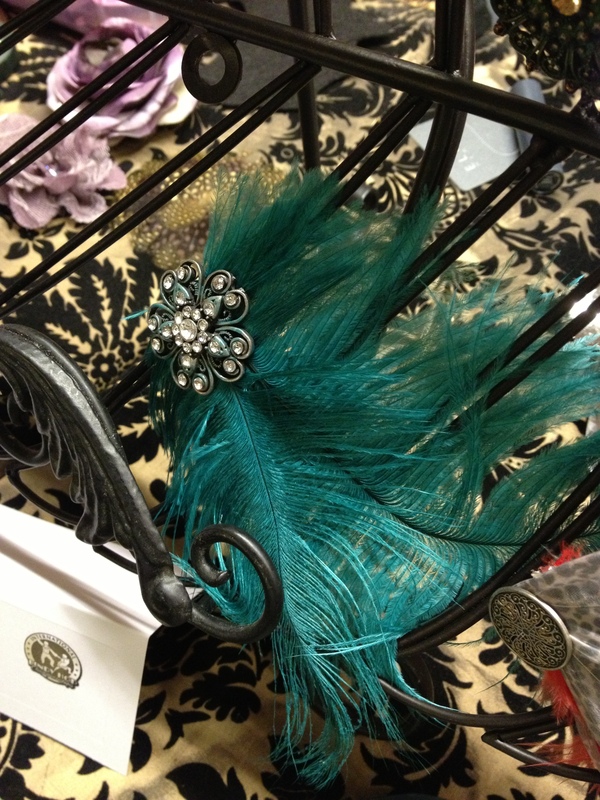 While they have no brick and mortar store, the Raleigh Vintage Collective has a lot of swing era clothing and accessories available for purchase through the web. 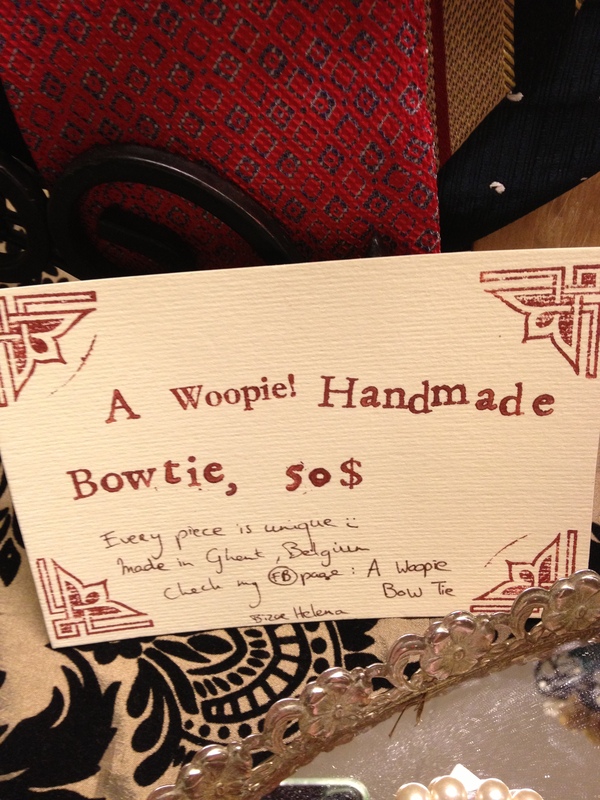 They are a group of ladies who periodically have trunk shows around Raleigh and list their wares on Etsy (Raleigh Vintage and Time for Vintage). 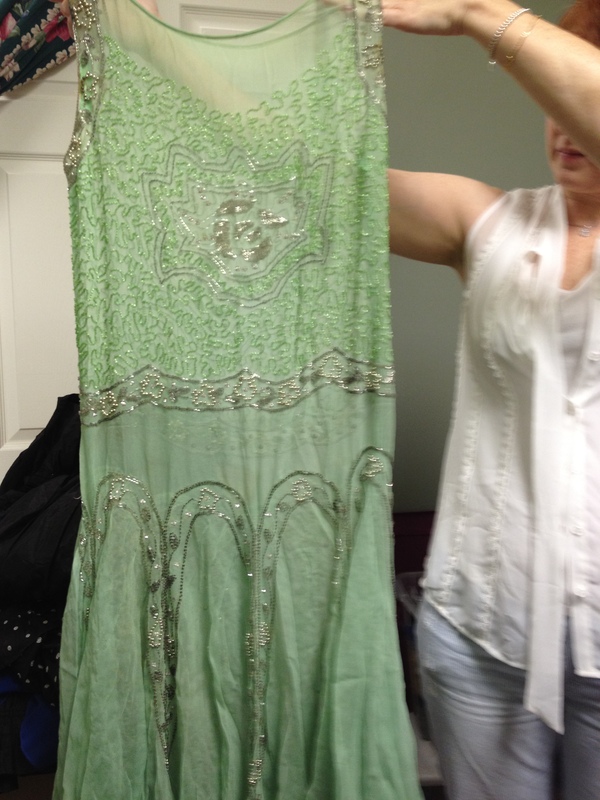 Most notably for dancers, they will have a trunk show at this year’s Eastern Balboa Championships, back by popular demand after last year’s trunk show, which featured only items from the 1920’s through the 1950’s – no digging through polyester to find what you want and no question about the garment’s decade of origin. 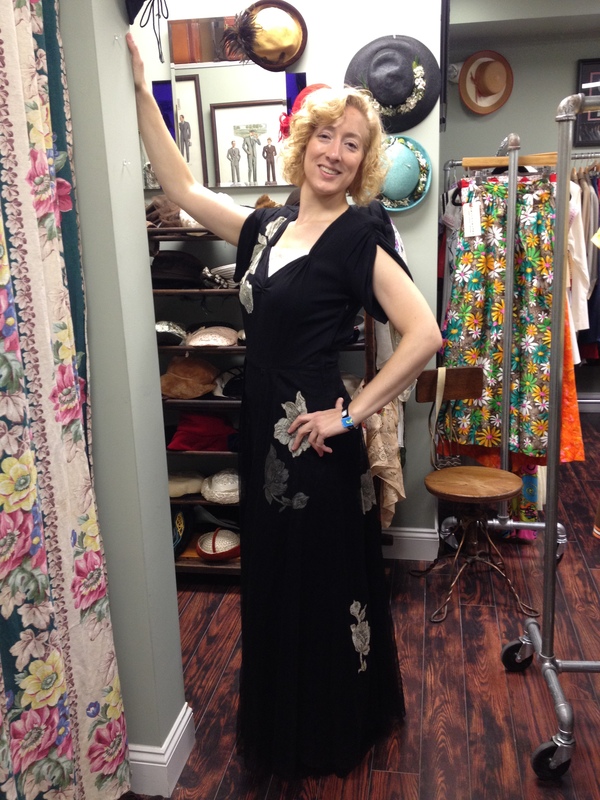 There are a few other vintage stores in the Triangle, but my experience with them in finding garments for swing dancing has been unsuccessful, as they stock 1960’s or later garments. 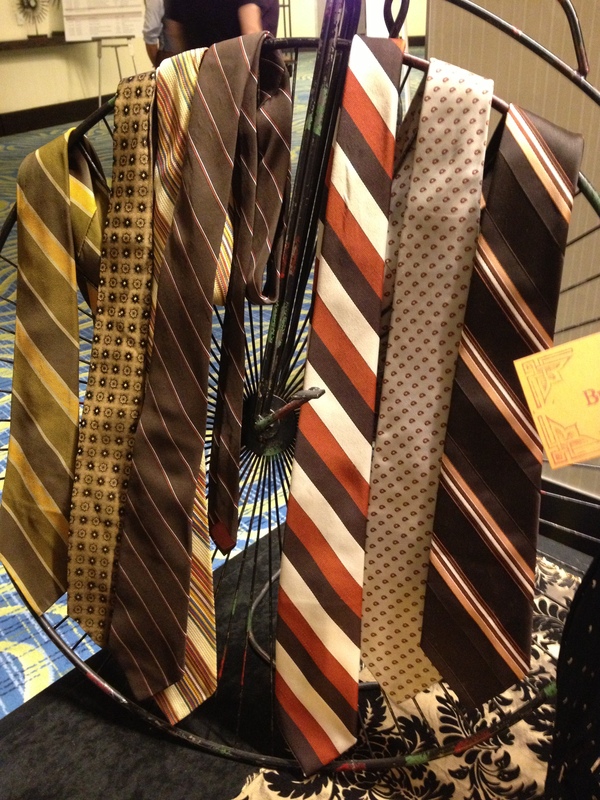 Men may find them more useful, as menswear has changed fairly little over the past century. For example, The Clothing Warehouse in Chapel Hill had a rack of men’s vests that looked promising. Other random notes: Someone who designs for Urban Outfitters must have a penchant for vintage hats because I always seem to find great vintage-inspired hats at this store. I always make sure to stop in at the Southpoint Mall, Durham location when I am there to browse through the accessories. Also at Southpoint, Anthropologie is a store that has built its brand around vintage-inspired clothing and accessories. The prices may set you back, but they always have a good sale rack and, if you find something on the sale rack or in the store that is not in your size, they will locate your size in another store and have it shipped to you. Gents, the best and cheapest place for you to look for things are your local thrift stores. 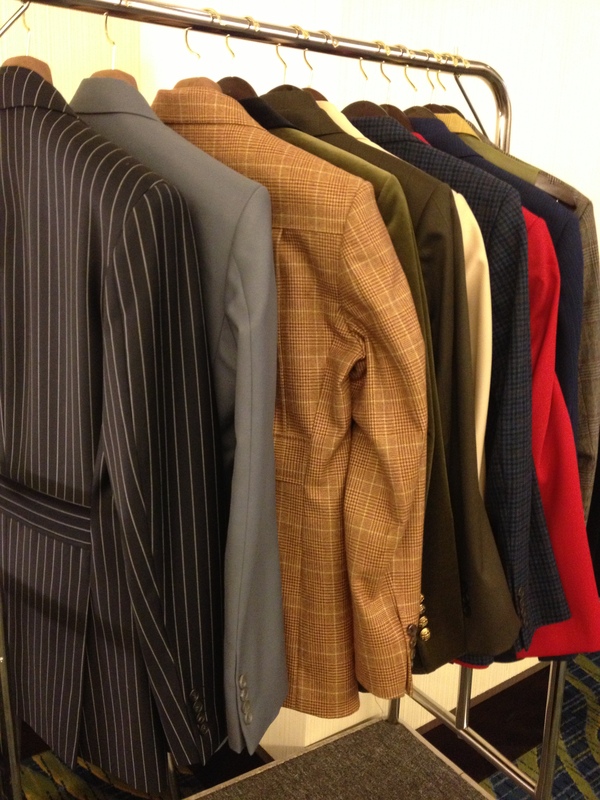 When my grandfather passed away, most of his suits went to a thrift store – jackets and suits from the 1950’s forward, most of them only worn on Sundays so they were in great condition. I see a rack of suits and sport coats and every thrift store I go to and this can be a great place to pick up something cheap that you don’t mind sweating in. 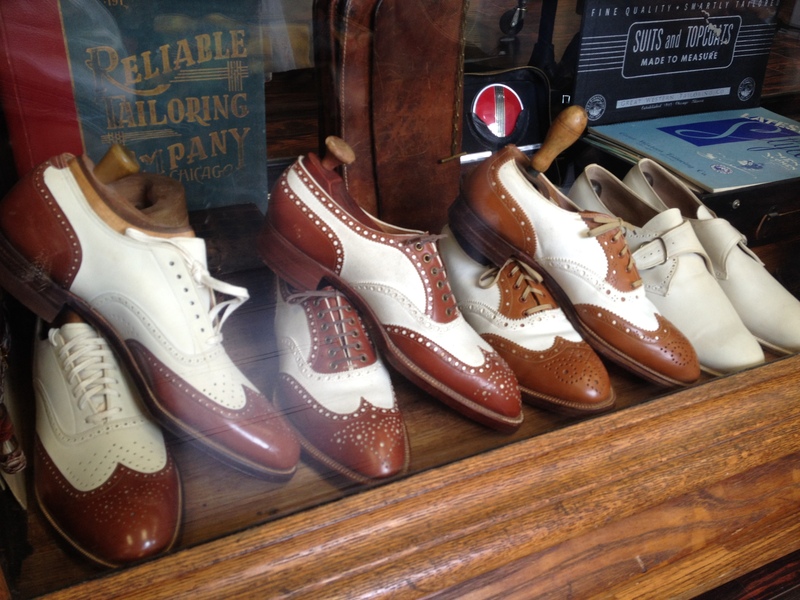 You may also want to check shoe repair places for vintage dress shoes, as people leave shoes or bring them there to sell them. 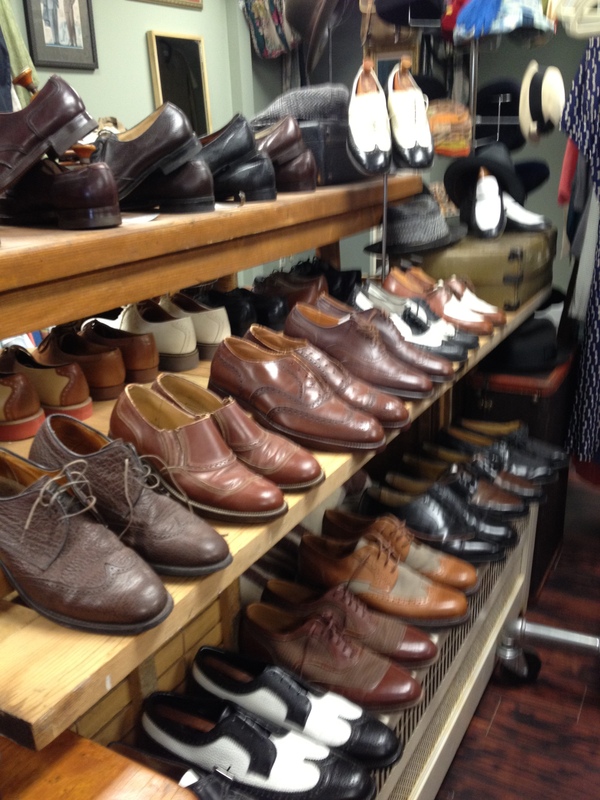 Men’s shoes, for the most part, are easily repairable and able to be shined up to look as good as new. 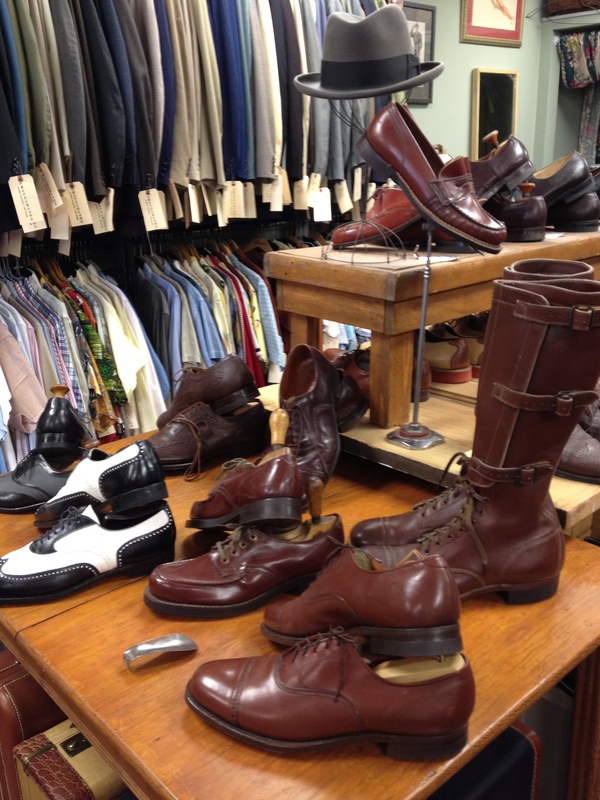 Main Street Shoe Repair in Durham always has several pairs of cap toes and wingtips that look dance-ready, at a fraction of the price of a new pair of shoes. 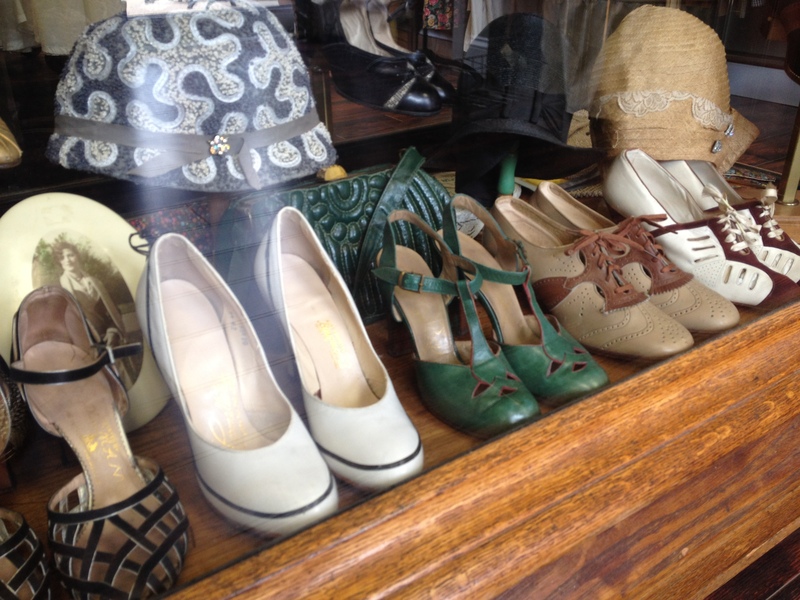 Finally, Remix Vintage Shoes, a company based out of California that makes gorgeous reproduction shoes, sells their shoes in a couple of stores in Durham – Magpie, a boutique in the West Village tobacco warehouses, and Cozy, on Ninth Street. Neither store carries the entire Remix line, but if you find a pair locally that you like it will save you about $20 in shipping from Remix in California. While the Gentleman’s Emporium boasts primarily reproductions of Victorian and Edwardian garb for men and women, there are some things that remain timeless and, thus, useful to swing dancers aspiring for a vintage look from just beyond Edwardian times or for those who aspire to the high style of Mr. Bobby White. 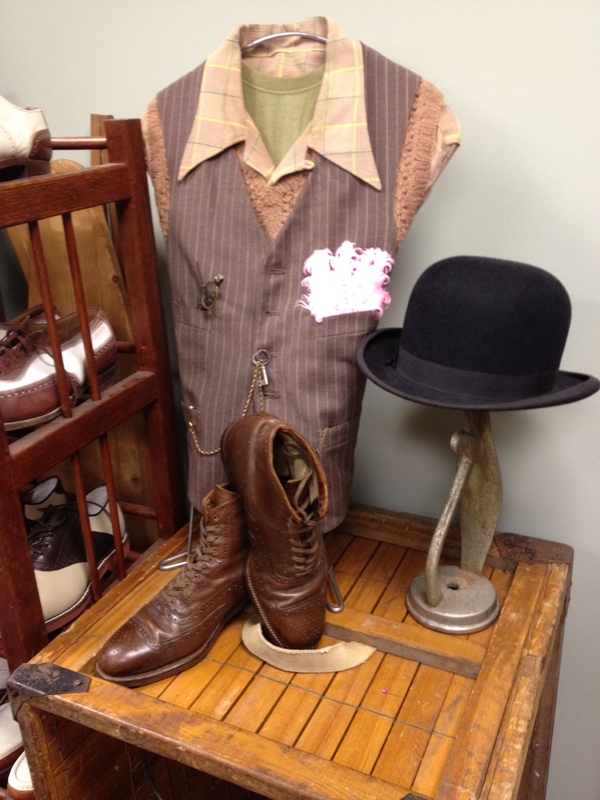 Gentleman’s Emporium makes it easy for buyers – if you aren’t sure what pieces go together, you can view the items by “Outfit” for a head to toe ensemble, grouped in clever characters like “Toby Greenwell – Newsboy,” “Professor Babcock – Man of Science,” “Dickerson Potts – Sportsman,” and numerous other rogues and gentlemen. 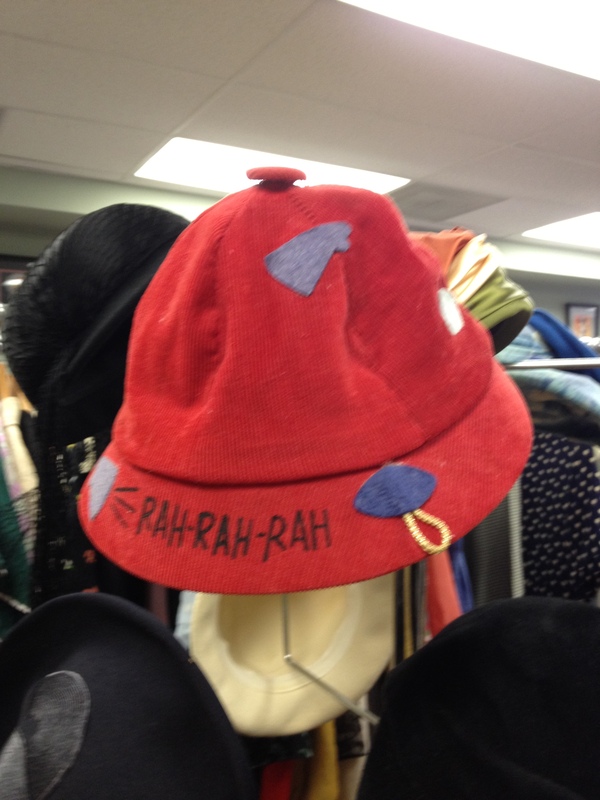 The ladies also have characters and ensembles, but are, for the most part, not period-appropriate and not dance-able. 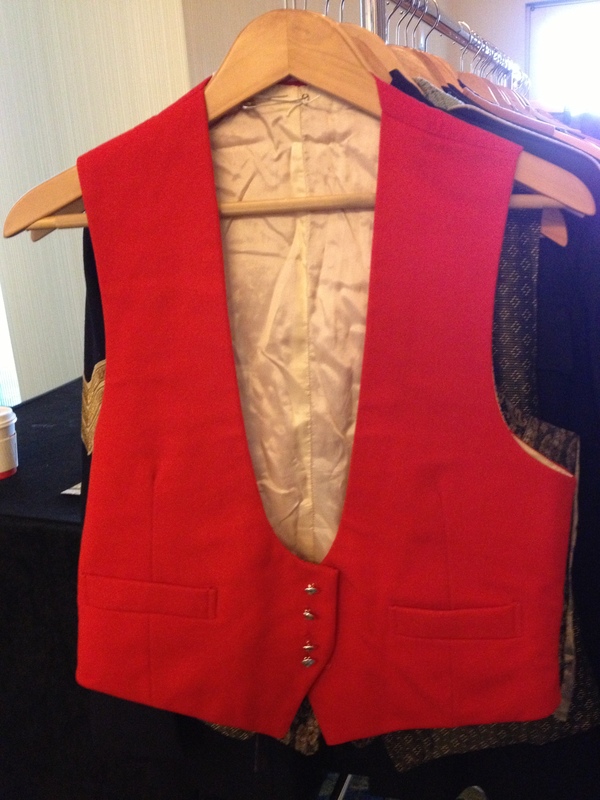 In the alternative to the ensemble approach, the Gentleman’s Emporium lists their stock individually in categories, so if you are looking for a vest, you need only click on the proper category. 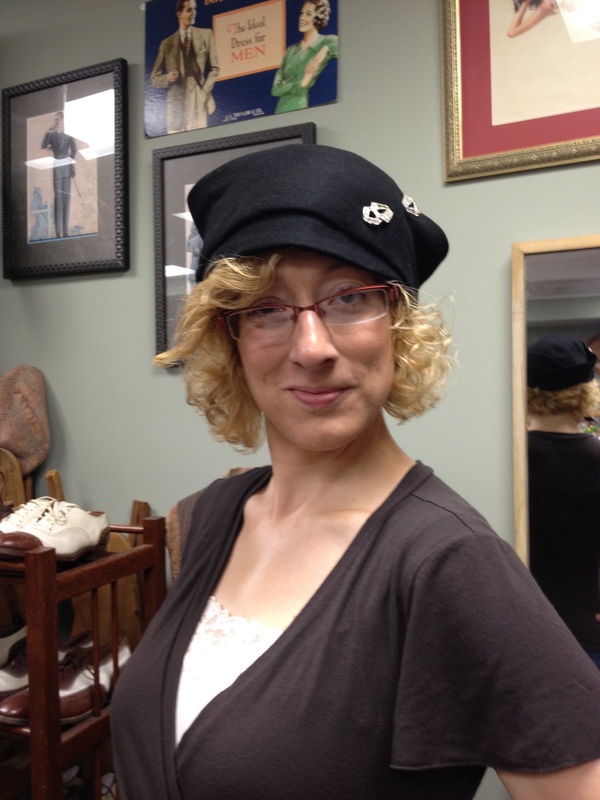 This is probably going to be the most effective way to buy pieces to re-create 1920’s and 1930’s looks via this website. I’m treading lightly here, as menswear is not my forte, so if I’ve listed something that is just not in the realm of comprehension during the jazz age, I apologize.